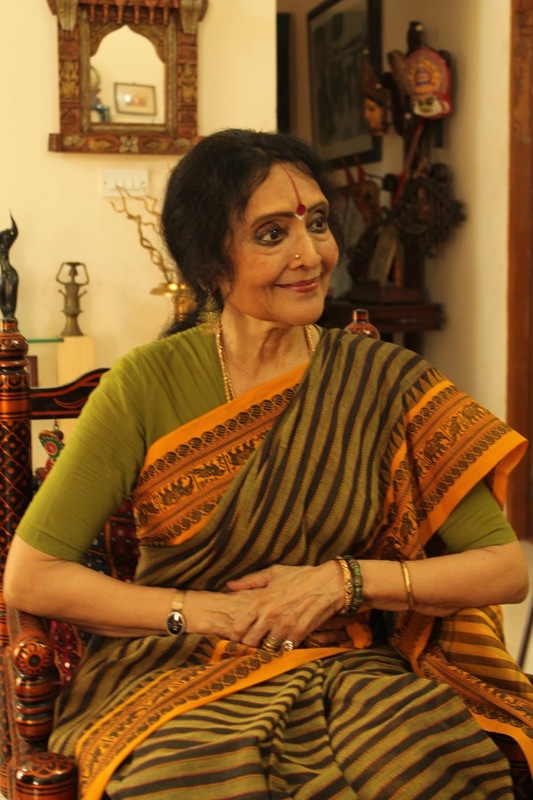 This Sunday I feature actor-dancer Vyjayanthimala Bali, who, at 82, celebrates Life in each moment! “It is not what happiness is. It is what happiness does,” declares Vyjayanthimala Bali, as she sits down in her study, adding, “Being happy with your Life, the way it is, makes you deal with it better.” Her study is full of awards, citations and souvenirs, showcasing a lifetime’s work in movies, in politics and as a dancer. 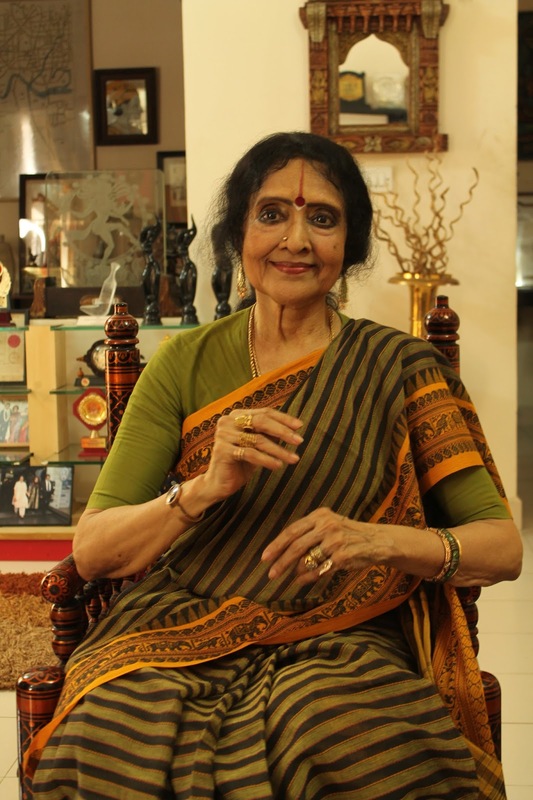 At 82, Vyjayanthimala, is enviably fit and so full of Life. Her big, beautiful, expressive eyes radiate an indescribable sense of inner joy. And her million-watt smile can revive the most heart-broken soul. Where does all this energy come from? “From simply being happy,” she replies. “Whatever is beautiful makes me happy. Life is so beautiful, it is full of beautiful people. So, I see all of the beauty around me and that keeps me happy,” she explains. Vyjayanthimala’s Life has been an interesting one. The reigning goddess of Indian cinema through the 50s and 60s (the first actor from the South to make it big in Bombay) and then a successful stint in politics (she has been a member of both the Lok Sabha and Rajya Sabha) in the 80s and 90s. Yet, she never clung on to either profession. I ask her how she was able to let go of her celebrity-hood. Wasn’t it difficult? “Not at all. Cinema and politics were mere opportunities that came my way. I liked them and so I took them up. But when I stopped enjoying them, I left them. My dance is who I am. It is as a dancer that I am the happiest. The only constant in my Life is my dance,” says Vyjayanthimala. Her husband, Dr.Chamanlal Bali, who passed away in 1986, inspired her to continue dancing. “Quitting films was a conscious decision I took with Dr.Bali. I wanted to be a homemaker. I wanted to get away from all the limelight. Which is why I have avoided making a comeback although there have been numerous offers for character roles. But Dr.Bali always told me I must never quit dancing. I am so grateful for his foresight and encouragement. Without my dance I will not be who I am,” she reveals. Over the last several years, Vyjayanthimala has been researching on ancient temple dance forms. She continues to stage productions each year – there was one at Bangalore’s Chowdiah Hall in September and there’s one at Mumbai’s famed Shanmukhananda Hall in November. “As I research, I find that one lifetime is just not enough to live and learn about everything that there is. This Life is like a drop in an ocean. I realize that I am no achiever, I am just a pursuer. I am a student. I am still learning. You see, apart from making me so fulfilled and happy, it also takes me closer to the divine. The wealth of knowledge in this vast Universe makes me wonder why there is so much aham (ego) in people. Ahamkills your inner beauty and joy,” she observes. But, obviously, like everyone else, she too has to deal with problems, crises, worries, challenges. How has she managed to face and live through her low phases? “I have learnt not to keep on and on at it when things don’t go the way I want them to. I don’t focus on my worries and problems all the time – that will only magnify them. I have discovered that as long as there is Life, you have to keep moving on. There are no full stops in Life, there are only commas. That’s the best way to live,” she shares.